PCAs, or Personal Care Assistants, play a valuable role in the lives and well-being of aging or ill individuals. By accompanying these people through daily tasks in their home, the PCA is able to help the aging or ill individual maintain dignity and independence for longer than would have otherwise been possible. 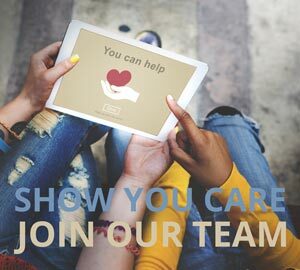 Being a PCA is a challenging career and there are many unique situations that place special demands on the personality, character, and work abilities of the PCA. Although being a PCA is rewarding, it is also demanding and there are several things PCAs need to know in order to succeed in the field. Here are the top dos and don’ts for PCAs all across the country. As a PCA, you will likely work with patients from all walks of life and backgrounds. These patients will be struggling with a variety of mental, emotional, and physical issues, from Alzheimer’s to severe disability. In order to be the best PCA possible, it is important to remember that every person who enters and exits your care deserves respect. This is especially important when you find yourself in the midst of a challenging situation, which will certainly happen if you work in the field long enough. While some days are harder than others, it is important to always remain positive and respectful with your clients. Personal care assistants are meant to assist people with tasks that may have become difficult or impossible for them. In many cases, however, a PCA’s clients are far from being incapacitated and can still do many things for themselves. In these cases, it is important for the PCA to allow the client as much independence as the client can safely manage. For example, if the client has trouble dressing him or herself but can still cook safely and efficiently, it is appropriate for the PCA to provide a helping hand with getting ready in the morning but to step back while the client makes breakfast. Doing this allows the client to maintain dignity and independence while also laying the foundation for a good relationship between the PCA and the client. Many families hire PCAs because a loved one’s needs have exceeded what the family can reasonably offer. This often means that the PCA will spend more time with the individual than virtually anybody else. If the PCA is doing his or her job correctly (by being compassionate, empathetic, reliable, and professional) it is only natural that, over time, the client will come to view the PCA as a trusted confidant. This is one of the PCA’s most important job descriptions. In order to further your relationships with your clients, it is hugely important to be a trustworthy, sensitive sounding board when the client needs someone to talk to. This does not mean that you have to play the role of a therapist or counselor by offering advice or feedback, only that should strive to be a support system for the client. To do this better, practice active listening and exercise plenty of empathy. People who hire PCAs will appreciate it if their caregiver can also be a friend. While there are things that should certainly stay between you and your client (very personal stories, for example, or intimate struggles that are inappropriate for the outside world) it is important that you don’t hide things that need to be discussed. For example, if you notice that one of your clients has been displaying odd behavior that could easily place the client or someone else at risk, it would be wise to reach out to the person’s family or a superior in the health care field. These situations can quickly become dangerous and it is your duty as a PCA to sound the alarm if you see behavior that is out of character, dangerous, or abnormal for an individual client. Being a PCA will be trying at times and it is your duty to be patient: both with your clients and yourself. Patience will help you navigate difficult days, see through frustrating situations, and provide the best possible care for your clients, despite the challenges you both face. While there is no required degree or certification program for being a PCA, it is important to continue your training in order to provide the best possible care. Attend conferences and classes that are relevant to your industry and seek to train under more experienced nurses or PCAs. In addition to exposing you to a variety of different health care procedures and protocols, these continued training sessions will help you hone skills and be better equipped to care for your clients. While being a PCA is a very intimate career, it is also one that requires a high level of professionalism. You’ll be working in people’s homes, helping them with sensitive daily activities like bathing and using the bathroom, and interacting intimately in their daily lives. Being a PCA requires considerable amounts of warmth, empathy, and patience, but it also requires professionalism. This means arriving on time, being reliable about schedules, dressing appropriately, keeping conversation appropriate (don’t overshare about your own life or struggles), and setting boundaries. Without professionalism, it is impossible to have a good client/PCA relationship. As a PCA, there will be situations that are trying, especially if you work with clients who have advanced dementia. While caring for these clients can be difficult at times, it is hugely important that PCAs are able to maintain their patience and never lose their tempers. In addition to being unfair to the client, outbursts like these damage your relationship with the client and may well put your job at risk. Instead, practice relaxation techniques when you can’t take a break on the job and give yourself plenty of off-the-job activities like exercising or hobbies to help you de-stress and maintain your center. One of the most important things a PCA does is maintain client confidentiality at all times. This means that you should safeguard all information pertaining to clients, their families, and their employees. This includes specific health conditions, names, ages, and occupations of clients, as well as any specific information about their families. Being a PCA is an intimate career and clients and families trust you with very sensitive information. Breaking client confidentiality is grounds not only for being fired but also for betraying the trust of your clients and placing them at risk for embarrassment or stress within their communities. We’ve all heard the saying “you can’t give water when the well is dry.” To put this another way, you can’t care for other people when you’re not caring for yourself. In order to be a great PCA, it’s important to take fantastic care of yourself outside of your daily working environment. This means ensuring that you’re eating healthy, well-balanced meals, that you’re getting enough sleep, that you’re exercising, that you’re spending time with your friends and family, and that you’re allowing yourself to take occasional days off. Being a PCA comes with many stressors: low pay, difficult work environments, lack of personal time, close contact with illness and death, etc., and it is important for PCAs to understand that, in order to care adequately for their clients, they must first care adequately for themselves. 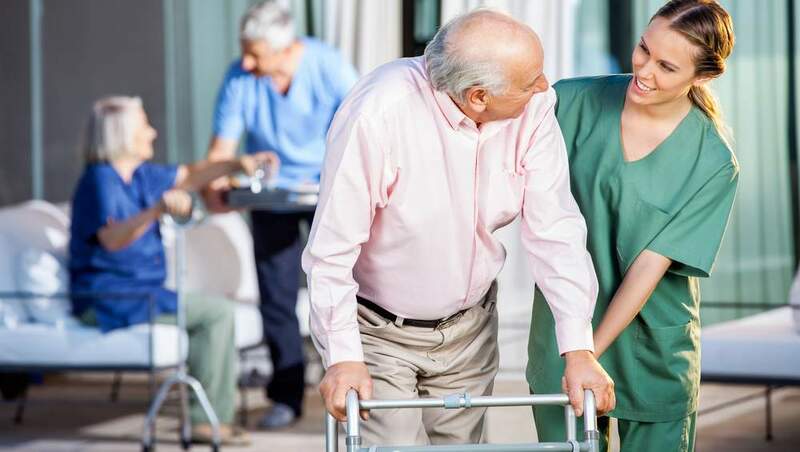 PCAs are arguably some of the most important individuals in the entire health care industry, and without them it would be difficult for ill or aging individuals to maintain dignity and independence. Fortunately, PCAs are willing to provide selfless service to their clients and their families. By following these simple dos and don’ts, PCAs can be better at their careers and enjoy each day on the job more.